Here at RustyButTrusty, we’ve made varying levels of attempts to get friends into old cars, mostly with limited success. Often this is because an old car is not suitable for the potential buyer’s lifestyle. However, a friend visiting from Finland wanted to buy an older sports car to bring back with him, so after making some calls, doing some research and a careful inspection, we purchased an MGB that was very similar to today’s feature car, a 1972 MGB roadster in white on black with Rostyle wheels, available for $3800 in Moyie Springs, ID, close to the Canadian border. The seller says this is a rust-free car, although it will need paint at some point in the immediate future. It has some minor dings, but as the seller states, nothing is “wankered”. It seems to be increasingly difficult to find reasonably-priced driver versions of popular classics, but aside from the paint issues and the need for a new master cylinder (pedal sinks to the floor), this one looks pretty good. 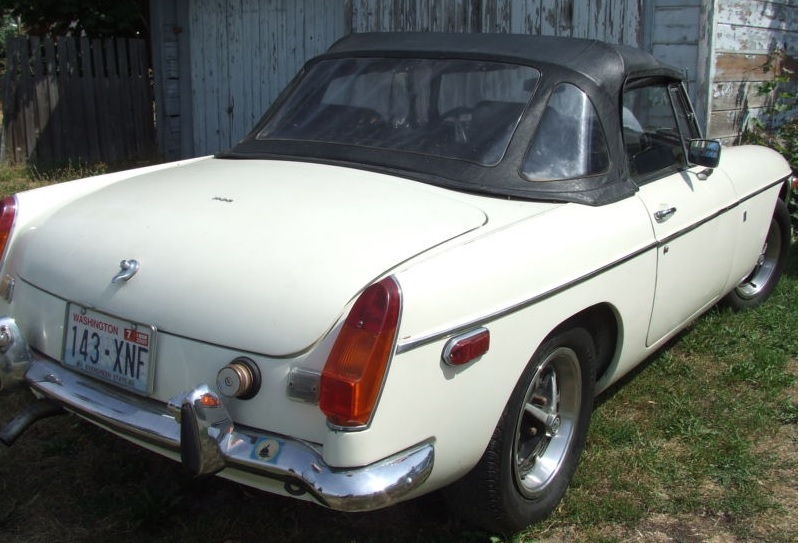 He doesn’t mention if the typical MGB split has yet appeared (where the top of the door skin and bottom of the vent window meet). 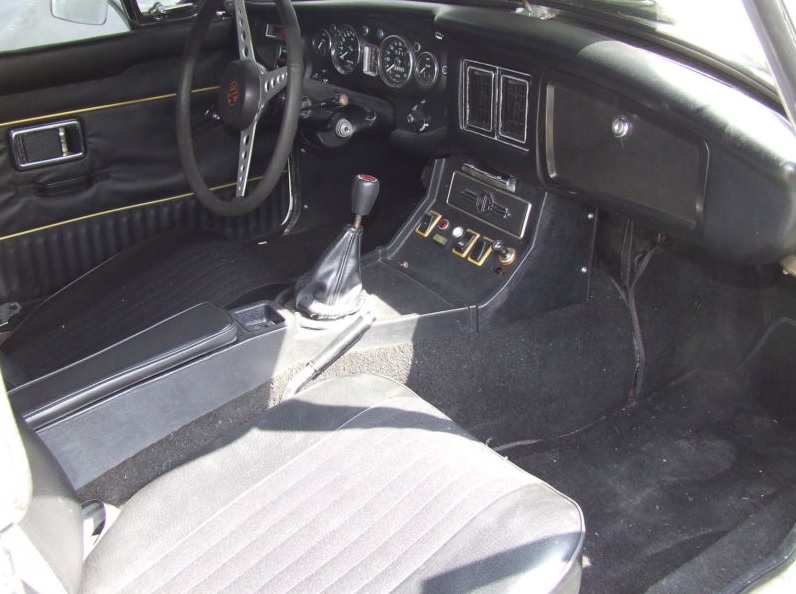 The interior has had many recent improvements, including new seat covers, door panels, and carpets. The trunk still needs a new liner, however, and the vinyl on the door panels looks a little loose. The top looks to be in pretty good shape, so there’s probably not a lot to do here. There’s no mention of the condition of the electrics, so you’ll want to ask about that. 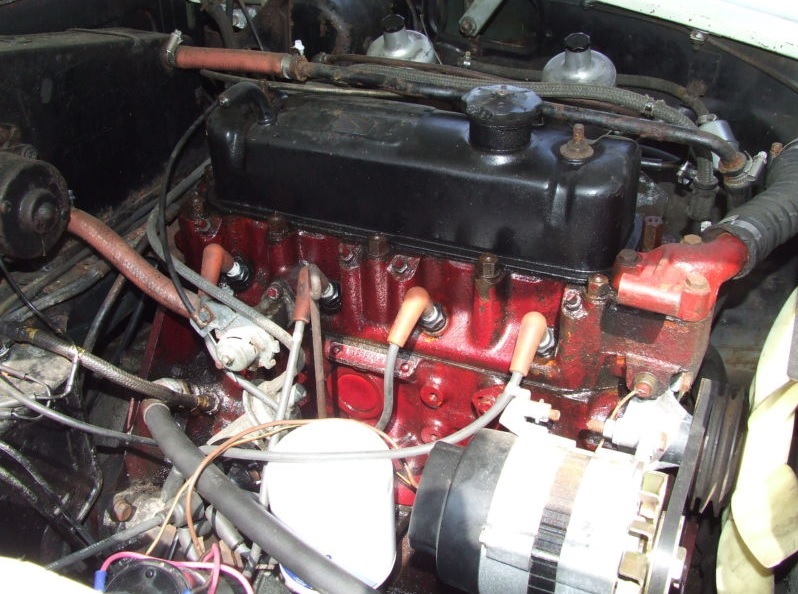 The seller has recently rebuilt and synchronized the dual SU carburetors, so it starts and runs well, but you may want to bring some air filters so his handiwork isn’t all for naught. The transmission comes with the optional overdrive, so it works fine for freeway driving if you can’t avoid it. 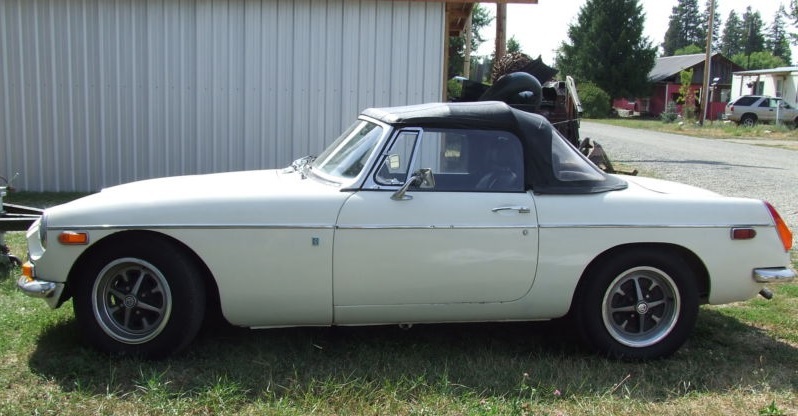 Buy this car, fix the brakes, and take it on a tour of the lakes and mountains in Idaho’s beautiful northern panhandle, venture up to Canada to say you did and then take it home with you! This entry was posted on September 21, 2013 at 5:07 pm and is filed under Feature. You can follow any responses to this entry through the RSS 2.0 feed. You can leave a response, or trackback from your own site. New liner for the trunk? B’s never had trunk liners, so not sure what that means…. But if it’s truly rust-free and in the condition described, with OD, $3800 is a good deal. Sorry folks, I sold the car this spring! Some guy from Canada came down and looked her over. He couldn’t get it on the trailer fast enough as he was afraid I would change my mind! I’m quite sure he is very happy with his purchase!